Dear all Xiaomi Redmi Note 5/5 pro users! In the previous article, we already instructed you to unlock the bootloader of your phone. 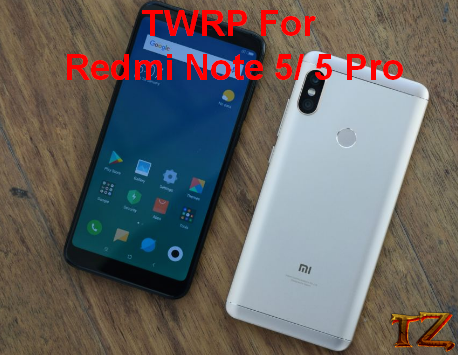 And this post today will show you the way to install TWRP recovery as well as root your Redmi Note 5/5 Pro. 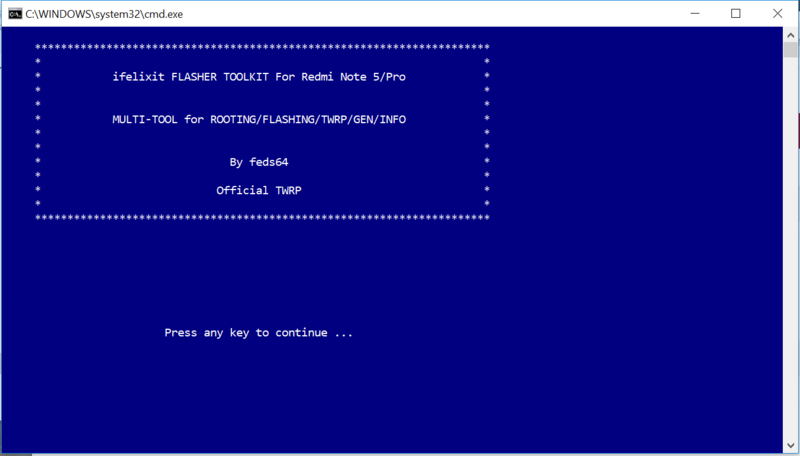 If you are looking for a solution to install TWRP recovery and root your phone, then just keep reading this post. Connect your phone to the computer in the Fastboot mode or USB Debugging mode. Now, it will appear a blue window. 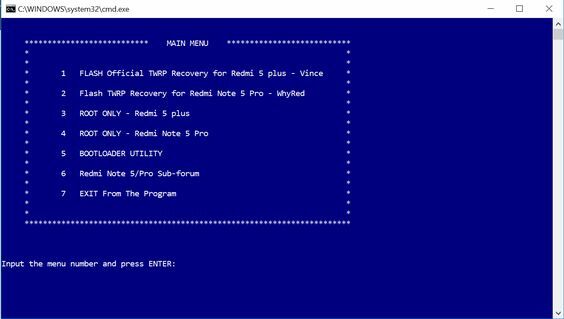 The tool will now start installing TWRP recovery on your phone and once done, your Redmi Note 5/ 5 Pro will automatically boot into the recovery.